Home » Print and Broadcast » Cookbook Review » Have You Ever Wished You Could Just Eat Like a Normal Person? Have You Ever Wished You Could Just Eat Like a Normal Person? "Eat Like a Normal Person: Your Guide to Real World Solutions for Healthy Living"
GLEN ROCK, N.J., /PRNewswire/ — When Erin Spitzberg was 12, she started her first diet. She was obsessed with losing weight. When she went to college the pounds really started to pack on. A friend recommended a nutritionist who provided her with a balanced healthy eating plan. It was a slow process, but she finally lost the weight. In her twenties, she was looking for a career and decided to take a graduate course in nutrition. From that point on, she was hooked. She took her education to career heights and has compiled her work into a new book, Eat Like a Normal Person: Your Guide to Real World Solutions for Healthy Living. “This book was developed to help you create your perfect plan for life as I have for myself. I have worked with thousands of people for the past twenty plus years guiding them on the fundamental steps necessary to make sustainable changes. What I have learned over these years is that each step is critical. You must assess your current relationship with food and behaviors that affect your eating and exercise habits in order to make a plan to move forward,” says Spitzberg. If you’ve spent a good portion of your life restricting yourself from eating the foods you love in attempt to lose weight to only find yourself heavier than ever, then this book is for you. Just like one-size-fits-all diets don’t work, neither do one-size-fits-all diet books. 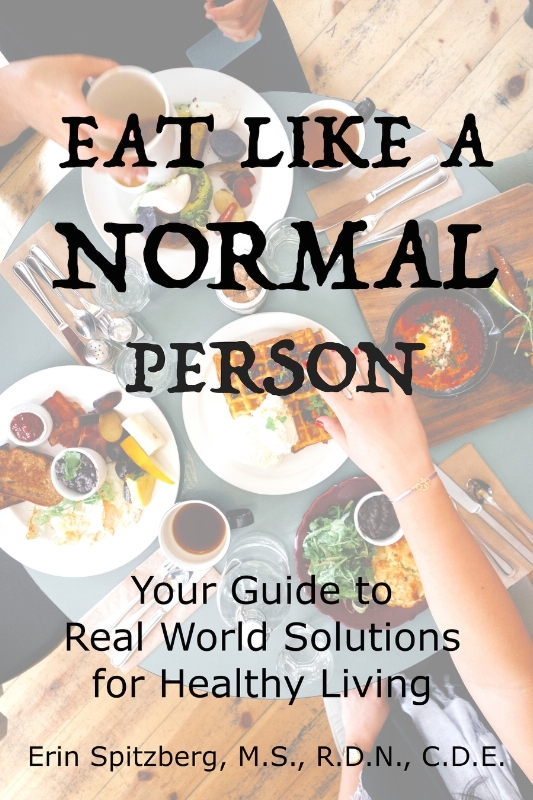 Eat Like a Normal Person: Your Guide to Real World Solutions for Healthy Living is created for the person who is ready to put an end to chronic dieting. This book does not tell you how to eat, rather it guides you on how to make sustainable changes through ten critical chapters. You will use your Three Keys: health, lifestyle challenges and food preferences to help you assess why you are struggling to meet your goals and use that information to create a plan for sustainable success. Erin Spitzberg is a Registered Dietitian Nutritionist and Certified Diabetes Educator who has been working in nutrition and healthcare for nearly two decades. Erin’s goal is to provide real world solutions for healthy living so long term changes in lifestyle can be sustained. Erin created her private consulting practice, Living It! Nutrition, in 2010. Living It! Nutrition centers on the idea that each person is unique and requires a customized nutrition plan based on their health, lifestyle and food preferences. In June 2013, Living It! Nutrition introduced Ace Your Diet, an app designed to provide many of the same benefits of a one-on-one nutrition consultation. Over the years as a dietician, Erin has helped thousands of men and women adopt a healthier lifestyle through her customized meal plans. Ace Your Diet allows individuals to access these meal plans anytime, anywhere with a click of a button. Eat Like a Normal Person launched on July 14, 2015. 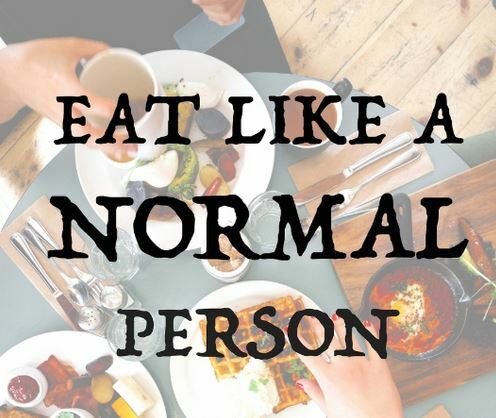 Eat Like a Normal Person: Your Guide to Real World Solutions for Healthy Living.